Website design, branding & coding challenge Scream Blue Murder sorted! 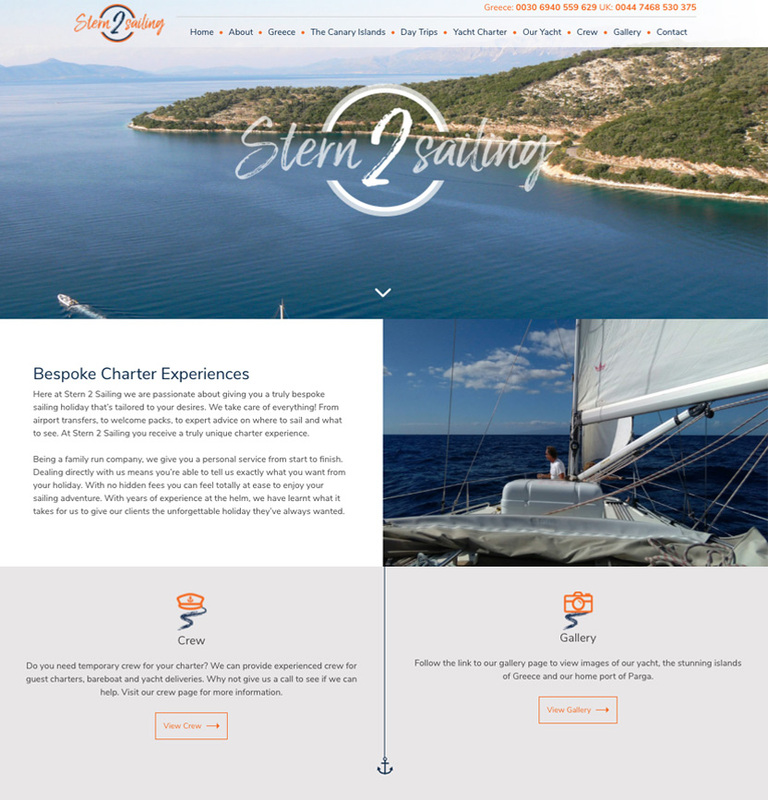 As a recently created company who provide chartered yachts in Greece, Stern 2 Sailing knew they required a new website and stunning branding to stand out in their highly competitive industry. Initially, we looked at the logo and considered ideas such as placing the ‘2’ in the name to look like a whirlpool, incorporating a compass and to make the ‘S2S’ appear as a journey with stops along the way. Eventually we chose to use a font that has a hand-painted feel and bursts with charisma as it helps demonstrate a sense of the personal services they offer. We finally added sunny, bright colours to exemplify the fun experiences Stern 2 Sailing provide. Please view a variety of the logo concepts below. To entice potential customers, images are very important. Stern 2 Sailing loved the idea of using large images on their website and fortunately, Stern 2 Sailing have an abundance of beautiful photos which really help sell their yacht charter experience. We had a lot to play with! We also wanted their website to have oodles of character, so we added elements such as dividers, which turn into anchors, and created a set of icons to match the logo. For those interested in coding, this website posed certain issues for our developer, due to the way that the images and text are expected to work together. It is essential the text and images line up; meaning the image would have to expand if the text was very long, whilst also retaining its proportions and taking up only half of the screen. Certain browsers (Internet Explorer) do not support the same methods of achieving this as other browsers, and therefore the challenge was on! Thankfully we worked out the issues and this is a technique we will happily implement in the future. If you would like to give us the challenge of creating your bespoke branding and designs, please call our team on 01379 676720.